Heading into the Subway Series, you’ve got two teams headed in two different directions. The Yanks sit at 40-18 heading in, second-best in the majors behind AL East rival Boston. Meanwhile, across town, the Mets have been quite horrendous and now sit at 27-32, 7.5 games back in the NL East. 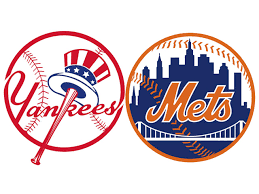 With the Mets having lost six straight and their offense putting up a messily two runs in their past four games, the Yankees will look to continue their dominance on the season. Tanaka, expected to bounce back from a disappointing 2017, has been pretty average once again in 2018. The continued downside of Tanaka has been his inability to keep the ball in the park. His 7-2 record is in large part because of the high-powered offense he has on his side. On the season, he’s allowed 15 homers, tied-for-fourth with a slew of other starters for the most given up. Along with allowing too many homers, the Japanese right-hander has also shown a lack of ability to go deep into games. Over his last six starts, he’s not pitched into the seventh inning in any of those starts and has made it out of the sixth inning just once. In turn, he’s only qualified for a “quality start” in one of his past six starts. While fans have focused on the struggles of Sonny Gray and rightfully so, Tanaka needs to step it up and pitch near the ace he used to be. 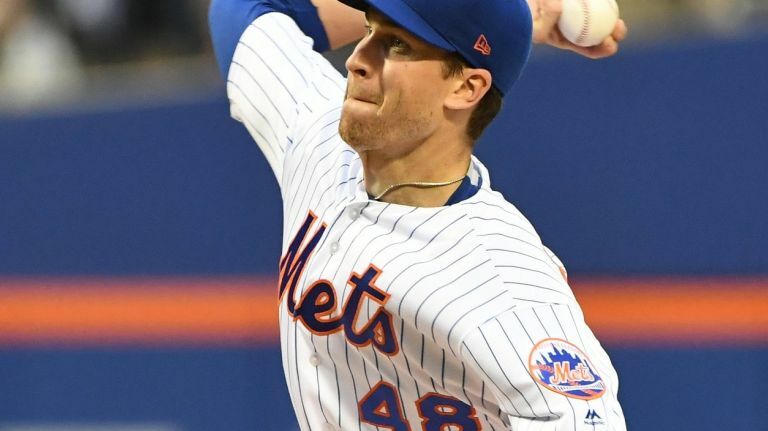 deGrom has established himself as a surefire top-10 starter in baseball, as well as taking over the Mets’ ace role. His 1.49 ERA for the season ranks first in the NL and second in all of baseball behind Houston’s Justin Verlander (1.24 ERA). With 12 starts under his belt on the season, deGrom has been incredible, striking out 98 hitters across 72.1 innings. Those strikeout numbers rank eighth in baseball, while his K/9 sits at 12.19 which is fourth among MLB starters. Over his last four starts, he’s gone seven innings in each outing while combining to give up just 22 hits and three runs while striking out 42 in those 28 innings. deGrom certainly presents a problem for the Yankees lineup and is a force to be reckoned with. Ever since no-hitting the Indians in six innings, Germán has been horrible as the Yanks fifth starter. Replacing sophomore Jordan Montgomery, the young righty has allowed 19 earned runs in his past four starts in a combined 21 innings of work (8.14 ERA). 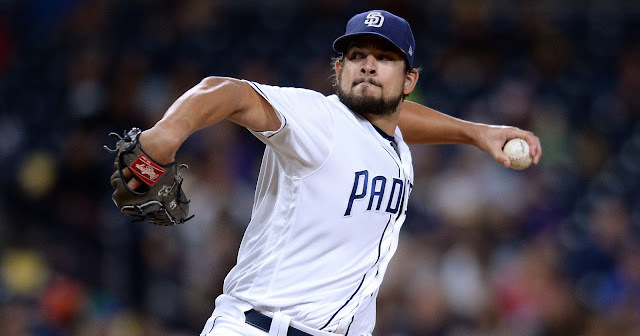 Seen as a guy to possibly be a part of the Yankees future plans whether it be as a starter or reliever, Germán’s struggles will likely result in the acquisition of a starter at the trade deadline. From there, there likely isn’t a spot for him in the ‘pen. These next two starts will be crucial to his chances of staying on the team the rest of the season. Since coming into the majors, Matz has been a mostly reliable middle-of-the-rotation starter for the Mets. He was dominant in his six starts in 2015 and then enjoyed a solid 2016 season in which he finished sixth in the NL ROY voting and went 9-8 with a 3.40 ERA. Matz followed that up with a disappointing, injury-plagued 2017 where he had an ERA in the low-6.00s across 66.2 innings along with an alarming 1.53 WHIP. The left-hander has since bounced back nicely so far, this season, pitching to a 3.42 ERA. Although those numbers suggest he’s been an above-average starter for the Yankees crosstown rival, his FIP of 5.11 actually suggests he’s been pretty bad and is even higher than his FIP in 2017. Matz will have his hands full against one of the best offenses in baseball. Severino has only built off of his tremendous 2017 season, fully solidifying himself as a true ace and one of the best pitchers in baseball. Severino is on pace to easily accumulate a 20-win season, although wins/losses aren’t as big of a deal for a pitcher anymore. He’s been especially dominant over his last three starts, two of which were against elite offenses in the Astros and Angels. Combining for 21 innings in those three outings, he’s allowed just 12 hits and four earned runs (1.71 ERA). Severino has also had double-digit strikeouts in his last two outings and has 26 in the aforementioned span. Now with 13 games started, he’s had 11 quality starts and is top-four in the AL in wins, strikeouts, innings pitched, and ERA. 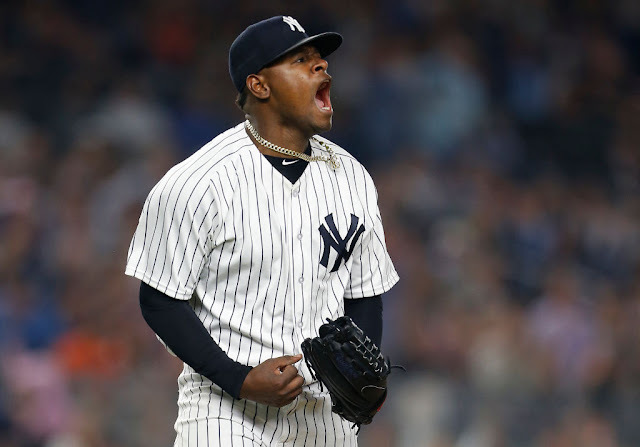 Facing off against the Mets, Sevy should continue his season-long dominance. The Mets really have two aces on their team with deGrom as well as Noah Syndergaard. The downside of Syndergaard has always been his ability to stay healthy, but when he is, he’s one of the best pitchers across all of baseball. Dealing with a strained ligament in his right index finger, Syndergaard returns just in time to face the Yankees on Sunday Night Baseball. Across 11 starts, “Thor” has accumulated a 1.8 WAR while striking out 76 in 64.2 IP. Despite missing a few starts, he still is ranked 12th in the NL in ERA (3.06) and is tied-for-10th in K’s (76). One of the nastiest pitchers in baseball, this’ll be a fun matchup on ESPN that features two top-ten pitchers. 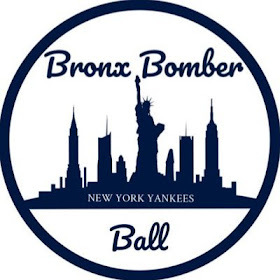 Sanchez has carried a prolonged slump on the season, as after the Yankees extra-inning thriller Wednesday against the Blue Jays in which Sanchez was one-for-six, his batting average now sits at .201. His HR numbers aren’t necessarily down, as he currently sits at 12 in the season, but his already low-OBP (.303) now accompanied with a very low-BA is somewhat concerning. His struggles have gone so far that backup catcher Austin Romine, who has been incredible in his time, now has a higher WAR (1.3) than Sanchez (0.9) this season. Widely regarded as the best offensive catcher in baseball and a top-two guy at his position overall, Sanchez’s struggles have been shadowed by how good this Yankees offense is. Look for Sanchez to hopefully turn things around and get his average more toward the mid .200s. The injury-prone first baseman is finally looking to prove all his doubters wrong, as he’s playing healthy regular season baseball for the first time in three years. After sitting out all of 2016 and then struggling and mostly injured in 2017, Bird’s looking to assure himself a spot in the Yankees future plans, making the rest of this season crucial for his career. The left-handed power bat has been batting third in a lineup that involves sluggers Aaron Judge, Giancarlo Stanton, and Sanchez, showing just how the Yankees think of him. Now with 39 ABs in the season, Bird is batting .205 with two homers and four RBIs. If his bat heats up, this Yankees offense will be truly impossible to stop. Always a solid hitter dating back to his days with the Indians, Cabrera has broken out in a big way in 2018 and has been the Mets’ best hitter so far without a doubt. For the season, he’s slashing .286/.328/.498 across 227 ABs. After Wednesday’s series finale against the Orioles, Cabrera’s currently top-20 in the NL in hits, runs scored, HRs, RBIs, and slugging percentage. One of just two or three guys that have been above-average offensively for the Mets, Cabrera has kept them somewhat close to a .500 record and one of just a few bats that the Yankees pitching staff needs to pitch carefully to in this series. Along with Cabrera, Nimmo is the other guy that’s been very good offensively for the Mets. After appearing in a combined 101 games between 2016 and 2017, Nimmo has broken out in a big way, especially in the power department. With 135 ABs on the season, he’s slashing .267/.407/.533. 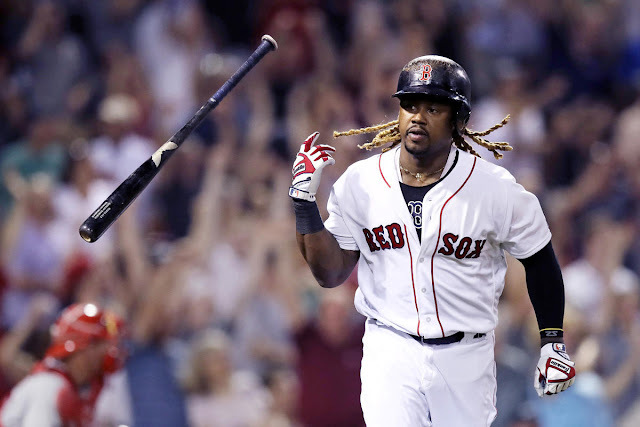 His batting average is quite pedestrian, but the two more important stats, OBP and slugging percentage, have been strengths of his game thus far. He has struck out in 30.4% of his ABs in 2018, but has a career-high in homers (7) and stolen bases (6) along with an already high WAR of 1.7. Look for Nimmo to potentially give Yankees problems in multiple ways in this series. Despite the difference in record, this series should still be somewhat interesting considering it’s a crosstown rivalry. With that being said, the Yankees will need the home-run-prone Tanaka and struggling youngster Germán to step up if they want to win this series at Citi Field. Expect each team to win a game with their aces on the mound, before the Yanks take the series win on Sunday Night Baseball on ESPN.